Author: Hogan, Erin Set In . . .
Erin Hogan hit the road in her Volkswagen Jetta and headed west from Chicago in search of the monuments of American land art: a salty coil of rocks, four hundred stainless steel poles, a gash in a mesa, four concrete tubes, and military sheds filled with cubes. Her completed journey took her through the states of Utah, Nevada, New Mexico, Arizona, and Texas. It also took her through the states of anxiety, drunkenness, disorientation, and heat exhaustion. 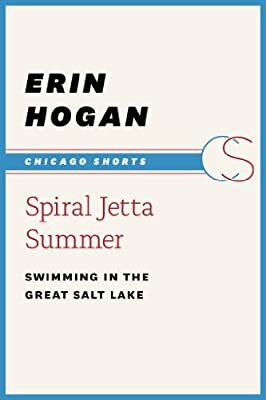 Spiral Jetta Summer is a chronicle of this adventure, and it reveals Hogan’s unpretentious and boisterous narrative flair on the roads of middle-of-nowhere Utah in pursuit of Robert Smithson’s classic work Spiral Jetty. Along the way, Hogan writes about venturing outside of her urban comfort zone; who she encounters; and most importantly, how she found most of what she was looking for and then some.